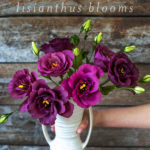 The lush hibiscus reminds us of sunny beaches and tropical breezes. 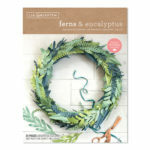 This was my inspiration when I picked the ten colors for my heavy crepe paper Tropical Garden collection. 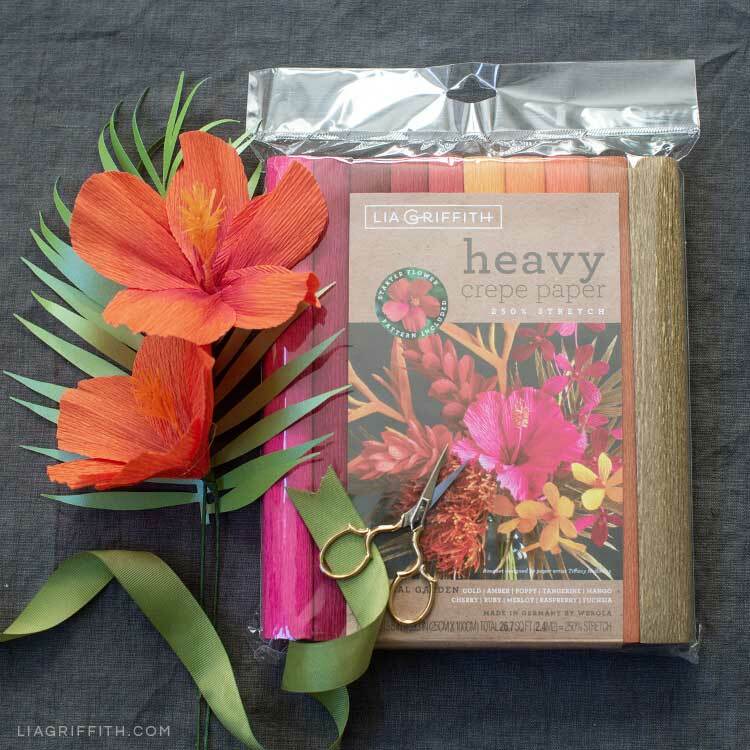 To begin your sun-filled journey into this pack, we included a starter pattern for this heavy crepe paper hibiscus in the Tropical Garden collection. 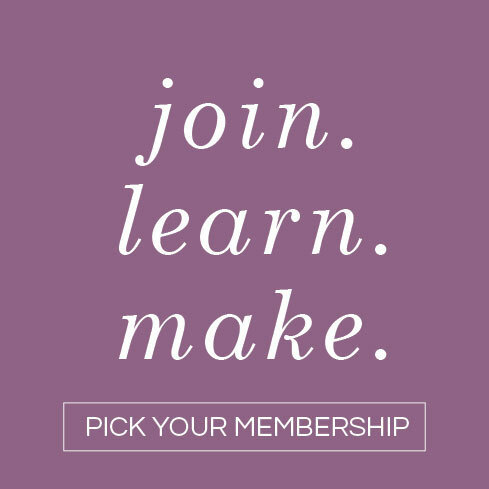 If you’re a member, you can download the pattern below. 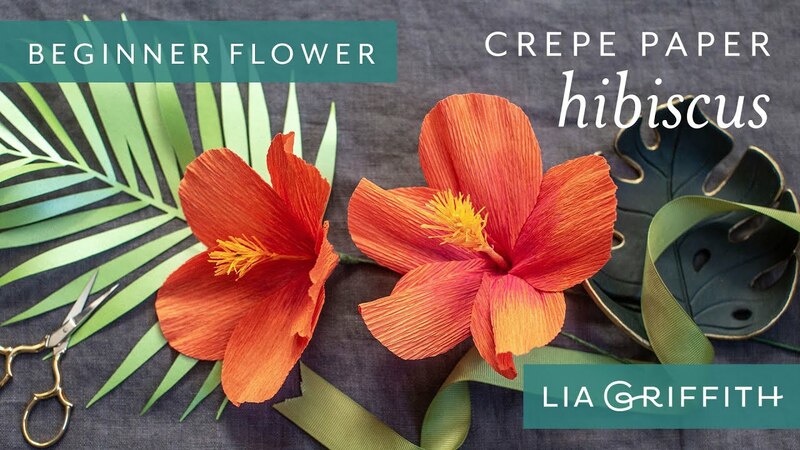 I love to use the hibiscus flower in my tropical bouquets, to tuck behind my ear for a luau, or to make crepe paper hibiscus lei. It also makes a great decoration for a beach-themed party. 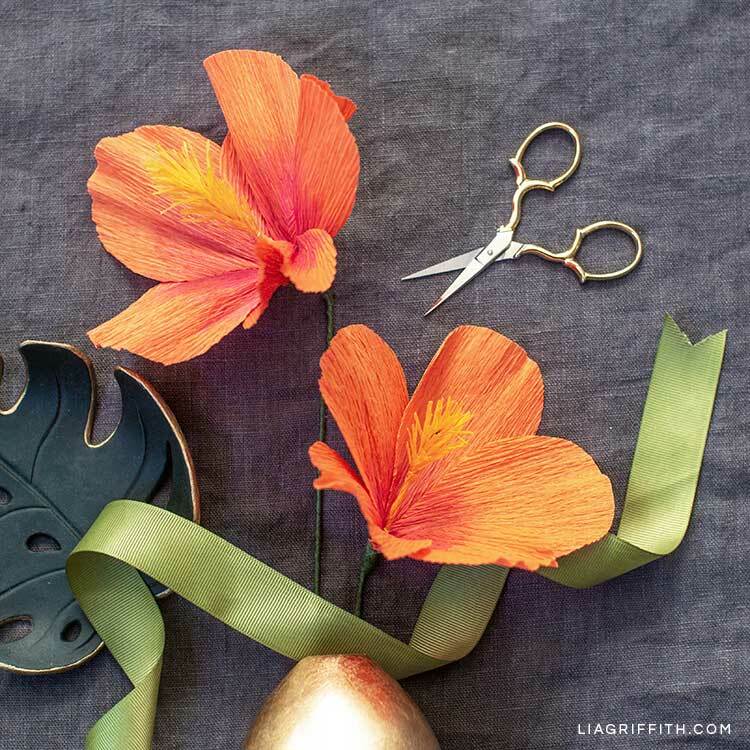 If you’re a member and you have a stash of crepe paper on hand that you want to use, simply download the hibiscus pattern below to get started. 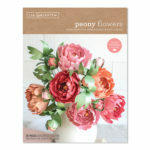 This simple flower with five large petals and fringed stamen is a great place to start your paper flower-making journey. 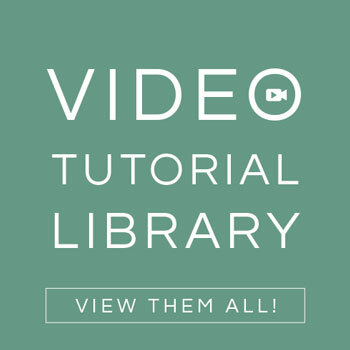 And if you already have some crafting experience, you can use this starter pattern to keep practicing or to expand on with your own techniques and preferences! While I love using my cutting machine for many projects, the pattern for this hibiscus is simple enough to cut with your scissors. If you do have a Cricut Maker, you can use it to cut your crepe with the rotary blade! Simply download the SVG cut file below and use the crepe paper setting on the Maker. We use the heavy cotton setting for our heavy crepe paper, but the software gets updated often so this could change. It is always a good idea to test a small circle before cutting a full sheet. 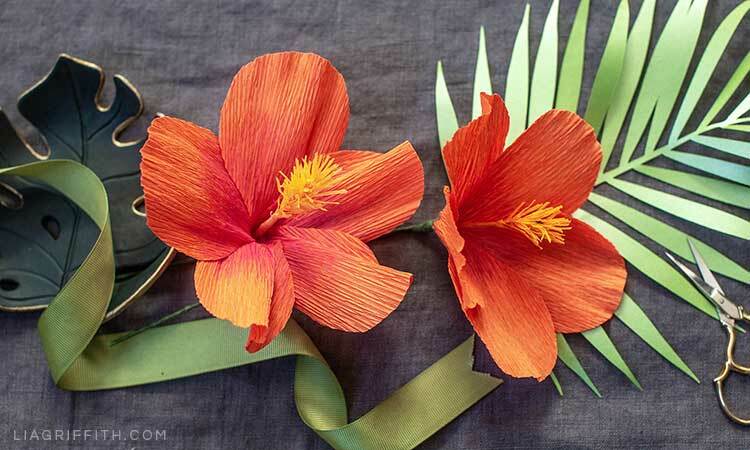 When you’re ready to make your heavy crepe paper hibiscus flowers, gather the tools and materials listed here. 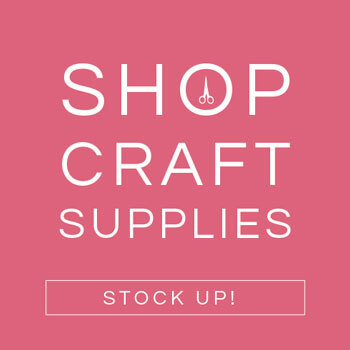 Once you have everything in front of you, watch our video tutorial below and craft along! Hello! I’d like to make a bunch of these in advance for a party – have you found that they keep well? Hi Katie! We’ve found our crepe papers flowers keep well as long as they’re stored away from extreme cold or heat, and kept out of sunlight.